Patrick Amos was born into the Mowachaht Band, one of fourteen member tribes of the Nuu Chah Nulth Nation, in 1957 on Nootka Island, off the west coast of Vancouver Island, British Columbia. Patrick has been designing limited edition prints since 1976. In 1979 he began carving wood, apprenticing with Tony Hunt, Sr. in Victoria, BC. Later he apprenticed with Tim Paul at the Royal British Columbia Museum carving shed. 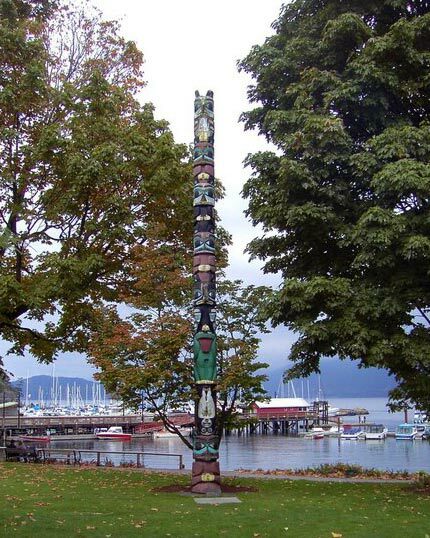 In 1989 he assisted Tim Paul with a 36′ Hesquiat totem for Maori people of New Zealand. Increasingly, Patrick Amos is being commissioned for larger works and now takes on apprentices of his own with these projects. 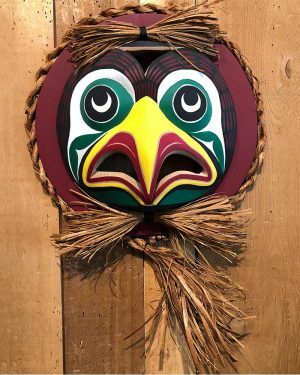 He is active in his community, giving carving demonstrations at various schools throughout the west coast, hoping to inspire artists of the next generation.